← Bougainville Referendum News: Siriosi appointed as CEO of new Office for Bougainville Referendum. Speaking on New Dawn FM, PRESIDENT MOMIS said that people who are spreading rumours have hidden motives and he does not like it one bit. Responding to all four demands from the BRA General, ISHMAEL TOROAMA, President Momis said that he does not and will not create instability to Bougainville but wants stability and development for the region and because of this he wants total unity in diversity from all Bougainvilleans. President Momis said on the appointment of MR. MONOVI AMANI he had already explained that the Bougainville constitution requires the Senior Appointment Committee which is an Independent Committee to make appointments after all checks and processes are met and him as the Chairman is only part of the team. Chief MOMIS said that the outgoing Chief Secretary will be best utilized in other important functions of the Bougainville Administration and has already accepted this change. On the second demand why him and several Ministers have shares in the POGE LIMITED, President said that these shares were held on behalf of the Bougainville Government and would be transferred to a Bougainville Holdings Company that will manage and control all Bougainville Government Shares including those of the MV CHEBU. President Momis response on his association with the TOROKINA OIL PALM Project, CHIEF MOMIS said that he has no personal interest in the project but had to continue this project approved by the previous Government under the Late JOSEPH KABUI. He said that before he became the President in 2010, the project had already commenced and some funds were misused and some heads had to be rolled to stop the misuse of funds for the project. President Momis said that when tender was called only three companies made bids to do a feasibility study on the project of which One Company BIDDED for more than 30 million Kina, the Second Company did not put a figure on their bid whilst HAKAU had the lowest bid of 10 Million Kina. President MOMIS also announced that the study has been completed and Landowners have formed and registered their Land groups and will be making their presentation in Buka next week to seek for possible developers of this TOROKINA OIL PALM PROJECT which can become an Impact project for this part of Bougainville. 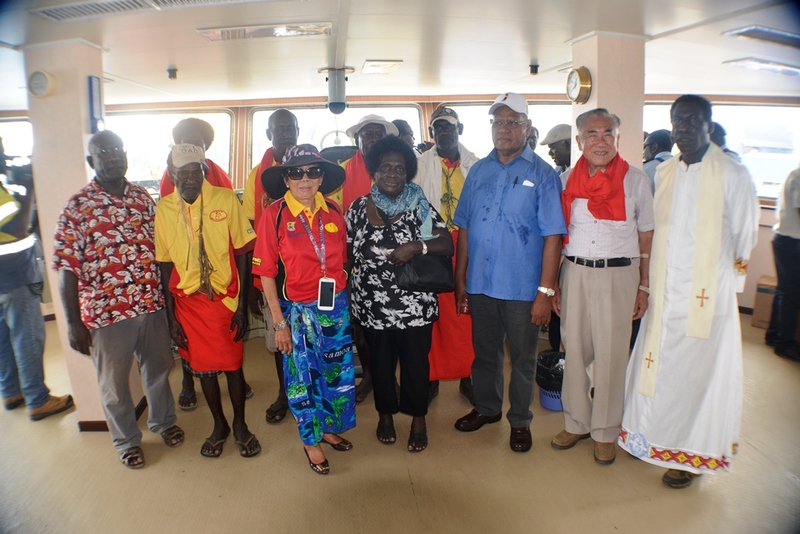 On the MV CHEBU, President MOMIS said that the project is 50/50 owned by HENRY CHOW and his company and all profits will be shared according to the shares. President MOMIS said that the ABG will be paying management fees and these people have the management capability to manage this company on behalf of the two shareholders. On the Bougainville Mining Bill, PRESIDENT MOMIS said that the ABG will pass the permanent Bougainville Mining Bill at its next sitting. He said that the Department of Mining has been making awareness in all parts of Bougainville since the Transitional Mining Bill was passed last year. Bougainville’s President Momis has launched a scathing attack on villagers across Bougainville looking for economic alternatives to large-scale mining. Speaking on New Dawn he demanded they produce a coherent economic plan for turning ‘tomato sales’ into sustainable revenues. The issue of economic accountability is an important one, here are five reasons President Momis should not be exempt. 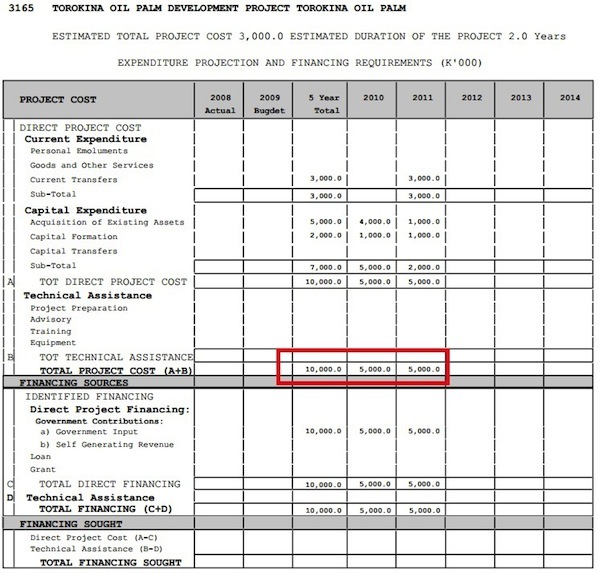 President Momis must explain why during 2010/11 the Torokina oil palm project received ten million Kina in government grants, and what, if any benefits, the people of Bougainville have received for investing nearly the entire ABG agricultural development budget on one project? He must also explain any benefits which Sir Henry Chow received from these grants, through Hakau Investment Limited or any other company owned by Chow. Given that the Torokina oil palm plantation was expected to bear fruit by 2014, can the President explain what has happened since 2011? In March 2013 Islands Business reported that the ABG Public Accounts Committee would ‘inquire into the two joint ventures done by the ABG with the Hakau Investment on the Torokina Oil Palm Project, and the China Business Corporation’. Can the President report back on the findings of these investigations? In 2012 President Momis employed public revenues to contract a hedge fund, Seagate Global, led by US expatriate, William Lawton, to become his ‘economic and development Advisor’. Seagate claims it was hired ‘to design and implement comprehensive community and economic development in Bougainville’. How much has the President spent on this contract? What tangible outcomes has this had for the people of Bougainville who have little interest in hedge funds? Why did the President choose a financial speculator to advise him on rural development? In 2013 Seagate Global stated on their website ‘Seagate Global is the economic and Development Advisor to the President of the Autonomous Region of Bougainville, the location of the Panguna mine, one of the largest copper and gold mines in the world, and a country rich in numerous resources’. The page also states, ‘Seagate Global entered the mining business as one of the best ways to help people’. The first statement was subsequently removed from the company’s website! The President must explain whether Seagate Global has obtained any tangible interests in Bougainville’s natural resources through its relationship with the ABG? Following visits to the Philippines President John Momis has engaged the ABG in a joint-venture with Filipino executives allegedly involved in land-grabbing, violence against landowners, illegal labour practices, and environment breaches (the full scandal was exposed here). How much money has the ABG spent on Bougainville POGE Development and its ventures with Filipino businessmen the subject of serious human rights allegations? How much has the ABG spent flying the President and his wife around the Philippines? During his extensive foreign travels has the President received any gifts from foreign companies? Then there is the Panguna mine scandal. Before President Momis began expending significant sums of government revenues on mining – including on the Office of Panguna Mine Negotiations, an expanded Mining Division and extensive foreign advice – did he conduct an economic and social feasibility study to ensure this was money well spent? After all, we know that the expert advice given to the ABG and the Australian government in 2008 was that reopening Panguna would be heavily resisted by landowning communities, and a potential spark for heightened tension. As a result they were advised ‘in the interim, a strategy for economic recovery through agricultural production appears the most viable among the possibilities’. Did President Momis conduct any study that overturned these findings, and offered a strong evidence base suggesting that the significant government investment in reopening Panguna had a strong chance of bearing fruits? And if he is to be transparent, President Momis should reveal how much has been spent on this ill-fated exercise to reopen Panguna, including money that has come from donor organisations such as the Australian government and World Bank. The President was also warned by auditors that public housing in Bougainville was being abused by some public servants who were not paying rent, while retired and retrenched staff were monopolising public properties. Given many public servants are forced to find housing on the inflated private market, has he done anything to rectify the abuse of public housing?